Workmanship and product value is what we strive to provide to our customers. Our product line with the Amana brand provides reliable, long lasting performance through superior craftsmanship and world-class manufacturing. The reason for this is simple: Amana products go through the most rigorous quality and assurance scrutiny to ensure long lasting comfort for your home. 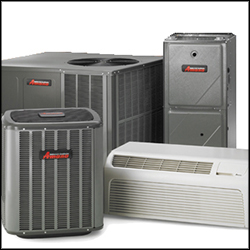 Purchasing a new heating or cooling system for your home is not an easy decision. We understand how important this investment is for your family. You can be sure that finding the right system for your home is our specialty. Amana offers one of the best warranties in the HVAC industry with a 10-year parts warranty and a lifetime heat exchanger warranty. For more information about Amana products from Pro-Tech Heating & Cooling, please contact us here or call us directly at 616.453.5000.